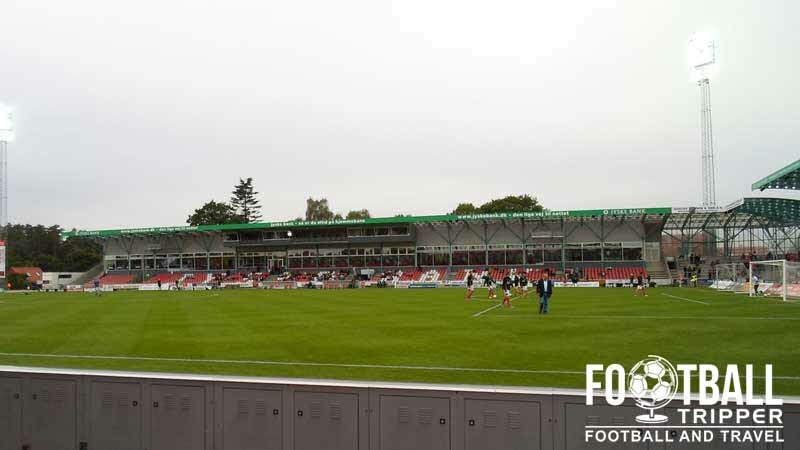 Mascot Park formerly known as Silkeborg Stadion is the home ground of Danish Superliga team Silkeborg IF. First opened in 1925 with primitive facilities and an athletics track, the 10,000 capacity today is much more geared towards the hosting of football matches more than anything else. Silkeborg Stadion is the traditional name of Silkeborg IF’s stadium which first opened back in 1925 as a multi-purpose sports venue, although it was primarily used for Athletics as at the time it was the city’s only running track. 18 years after opening, the basic structure of the stadium began to take shape with the construction of a small stand which contained the players changing rooms. From here on the ground slowly developed throughout the course of the 20th century until the late 1990s when Silkeborg Stadion was more or less completely rebuilt. 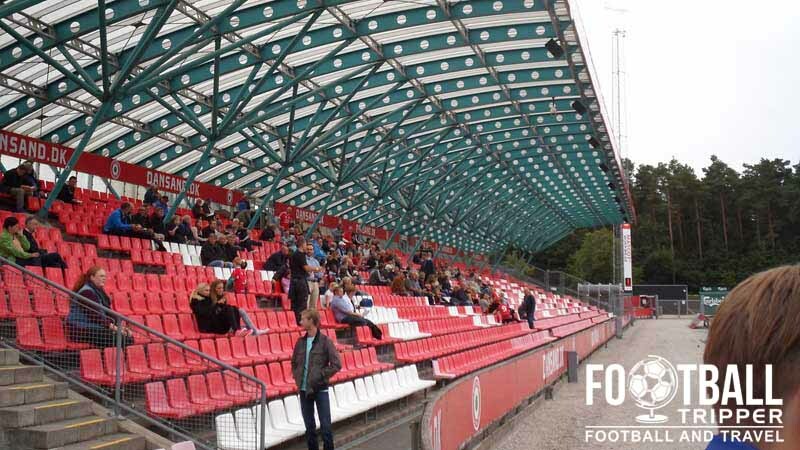 With the decade preceding the millennium proving to the most successful period in the club’s history, Silkeborg IF’s decided to upgrade their stadium after it regularly began to host European football matches between 1991 and 2001. Kick-started by winning the 1993/1994 Superliga title, Silkeborg IF went from strength to strength both domestically and in Europe facing Dynamo Kiev in the Champions League the following season, followed by consecutive appearances in the UEFA Cup, including a 1996 Final appearance in the Intertoto Cup. The remodelling in the 1990s saw the creation of a new north stand, and the advent of a roof covering every stand in the stadium with large sections of the ground converted to seating, with an estimated 5,500 seats available out of the total 10,000 capacity. In August 2011 Silkeborg announced that they had sold the naming rights of the ground to textile company Mascot, becoming the Mascot Park until 2013 at the earliest. Mascot Park is comprised of four stands: North, East, South and West. Away fans are housed within Section (Opgang) D within the eastern stand as per the above seating plan. 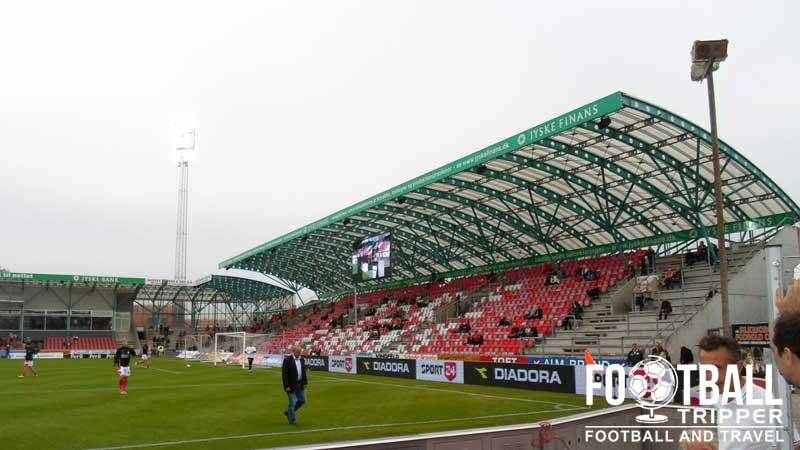 Currently known as Dansand Tribune for sponsorship reasons, entrance for the visiting supporters (Gaestesupportere) is granted via the south-east corner. If you are unable to make it to the fanshop either during the week or on matchday then you can always visit Silkborg’s online store which allows you to browse the full range of official merchandise at your leisure. 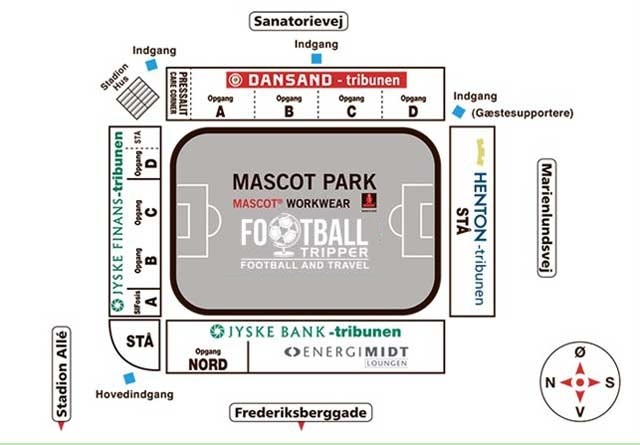 It doesn’t look as if Silkeborg IF currently offer tours of the facilities at Mascot Park. If this ever changes we’ll be sure to update this section. Tickets to see Silkeborg IF play at Mascot Park can be purchased via the usual channels including online and in person from the ticket booths around the ground which typically open one hour before kick-off. Mascot Park is located approximately 2 km south of the historic centre of Silkeborg within a largely residential neighbourhood which contains dense forestry to the south. Depending where you’re coming from, the journey by foot is likely to take the average Football Tripper no more than 15-20 minutes. There is only one small car park at Silkeborg Stadion so don’t expect to be able to use it on matchdays! 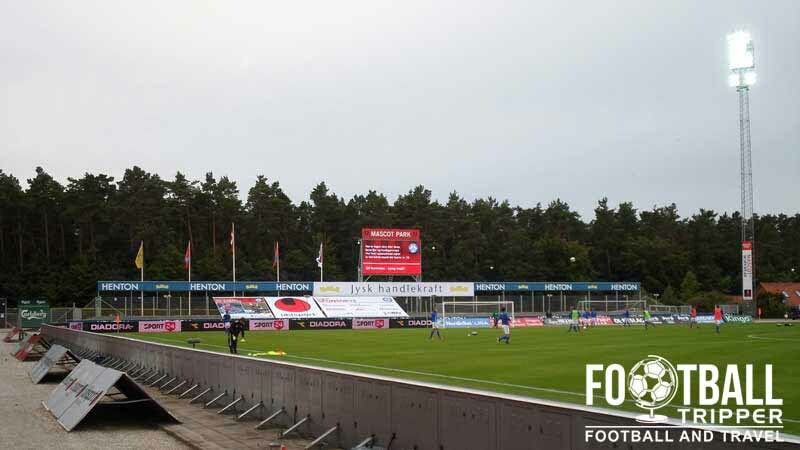 Silkeborg Stadion is only 1.2 km north of Mascot Park which means the ground is very accessible on matchdays. The station sits on the railway line between Aarhus and Herning. The main bus stop is located one block away and is known as “Frederiksberggade/Bryndumsvej (Silkeborg)”. Less than two minutes away from Mascot Park, it is served by bus numbers 4, 110 and 215. Karup Airport 40km north-west of Silkeborg is the closest airport to the city however it only really specialises in domestic flights. Billund (71 km) and Aarhus (80 km) away tend to offer more International flights into and out of Denmark. Continuing back towards the city centre via Frederiksberggade there is Danhostel Silkeborg which is close to the station and offers affordable rooms for travellers on a budget. Other options include Hotel Dania and Radisson Blu which are found towards Silkeborg Langsø (lake).